Though we specialize in residential and commercial roof repairs and re-roofs, DA Roofing also offers a variety of home improvement services that include ventilation, insulation, skylights, solar tubes, gutter installation, gutter repairs and much more. DA Roofing is happy to carry an endless virtual line of roofing accessories to accentuate your home and increase your overall energy efficiency. Below we have summarized just some of the products and services we offer. If you do not see what you are looking for just let us know, we will be happy to assist you. DA Roofing provides outstanding gutter installation services. Upon consultation we will show you a variety of high quality gutters in a variety of materials that we would recommend for your particular needs. At DA Roofing, we care about protecting your home and your investment. It is our priority to continue to provide services to maintain your gutter system for years to come. Call DA Roofing today for all of your gutter installation needs. Gutters that are neglected will have heavy debris and standing water that accumulates over time. That debris and water can weigh as much as 370 pounds, and can damage the angle of the gutter. If that angle or pitch is lost due to excess weight, standing water can back up into the home or overflow into the homes foundation, causing foundation damage. Cleaning your gutters will prevent dry rot and water intrusion into your home. Don’t wait until it's too late. Contact DA Roofing today! Skylights are a cost-effective way to make your home feel more open and spacious. At DA Roofing, we understand how natural light changes the atmosphere of a home. Just adding one or two skylights can transform a room from ordinary to breathtaking. Skylights by DA Roofing will brighten a room: Installing a skylight can maximize natural light in darker areas of your home. Where there is no exterior wall to put a window you can create a window in the ceiling with the installation of a skylight. A skylight can significantly brighten a room without any energy cost. Skylights by DA Roofing will save on energy: Skylights can help cut down on your electric bill. Strategically placed skylights replace the need for electric lighting. They also add heat to your home, cutting down on the amount of electric or gas heat you will need to generate. This can mean big savings. Skylights by DA Roofing help to preserve the environment: Because skylights save electricity and gas, modern energy-efficient skylights are considered a " green" home innovation. Skylights by DA Roofing will increase your home value: Skylights increase the overall value of your home. You can usually count on getting back any money you invest in installing skylights in the way of increased home value. Skylights have a modern appeal, both for their energy-efficiency and for the beauty that they add to any home. Considering updating a skylight to your kitchen, bedroom, bathroom or family room? 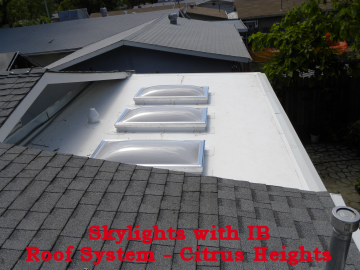 We can also replace those out-of-date skylights. DA Roofing offers a variety of skylight styles and options and will get your new skylight installed quickly and easily. Contact us today at 916-715-1032. Solar Tubes are excellent options for natural light. It has been said that natural light lifts moods, and the natural lights help to alleviate eye strain. They also allow people to see things in a more true color. There are studies online that indicate a light tube to have maximum light level of 300-1200 lumens on a sunny day. Solar Tubes could light a home or office from sun up to sun down. Contact DA Roofing for your own energy savings evaluation. An extremely important part of a homes' design is the attic ventilation. Proper ventilation can extend the life of your roofing materials, save you energy and help reduce moisture problems. If your home is more than 15 years old the ventilation system of your home most likely needs to be replaced. As a professional residential roofing contractor, we check your attic ventilation before we even get up on your roof. Whether you own a home or business in Sacramento, Placer or El Dorado County you should protect your property and investment. 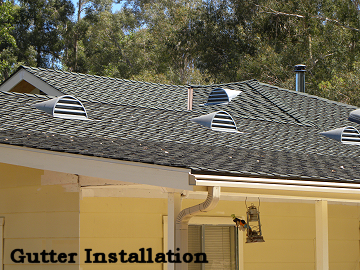 Proper roof ventilation is extremely important to your property. Poor attic roof ventilation can result in temperatures that are too hot or cold, and can also cause your roof to deteriorate over time. DA Roofing has over 30 years of experience in providing roof ventilation to property owners. Our exceptionally trained and skilled roofing professionals are experienced in performing roof ventilation to business and residential customers in the state of California. 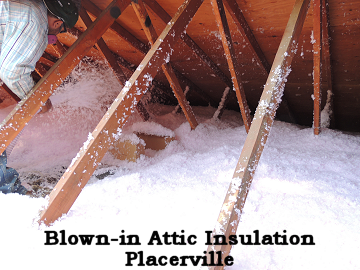 DA Roofing is in compliance with Title 24 which requires in most areas R-38 insulation value in the attic. Do you have high home energy bills? One of the most effective ways to combat those high heating and cooling costs is to add insulation to your home. We often find homes do not have the proper amount of insulation. A very simple solution to your energy bill woes is to give us a call. Insulation can quickly pay for itself, and can save you a lot of money over the course of time in your home. However, the bills won't get any better unless you call DA Roofing. If you have a question or concern about your insulation, please give us a call. We will be happy to assist you.